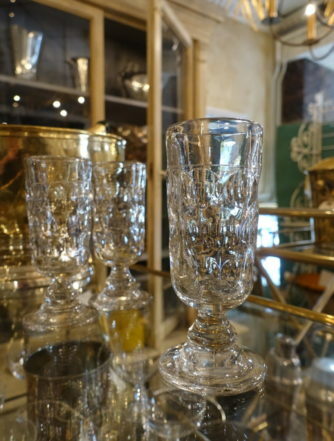 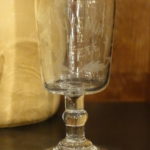 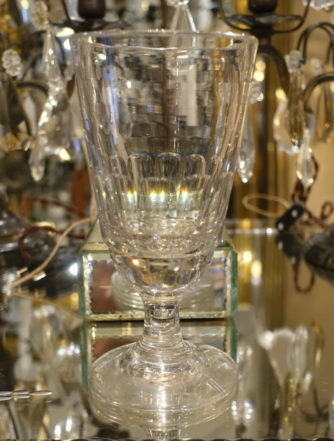 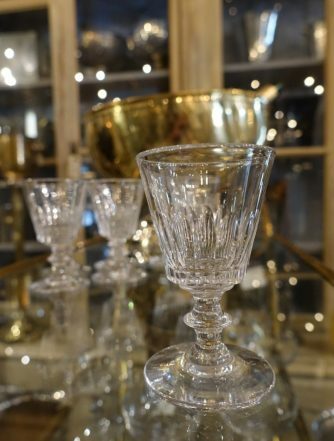 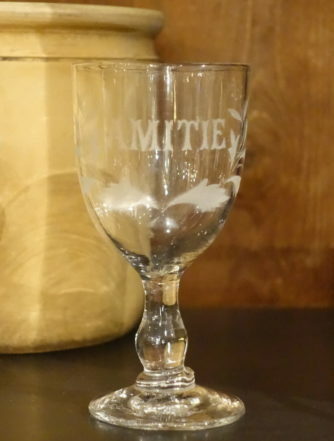 Classic antique handblown souvenir challice / goblet, from circa 1880s France. 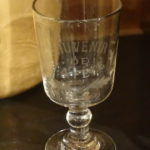 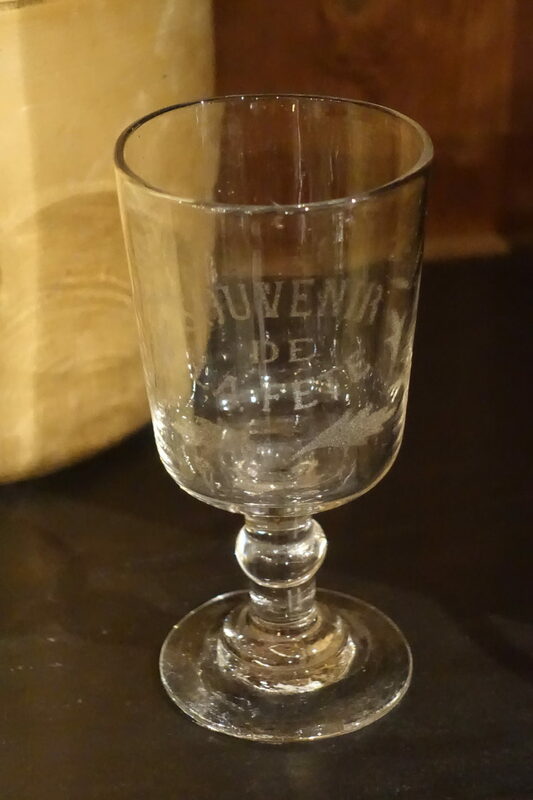 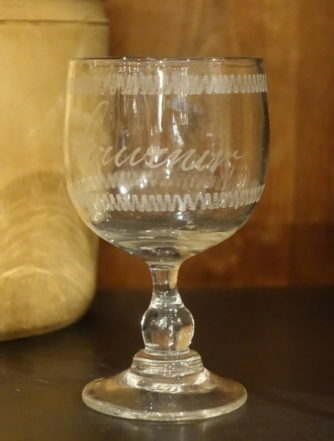 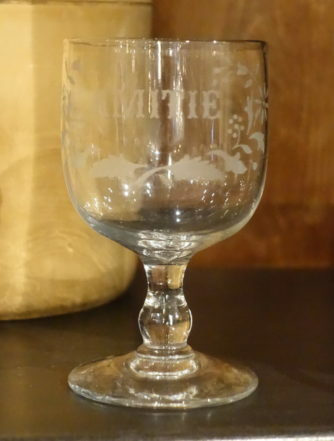 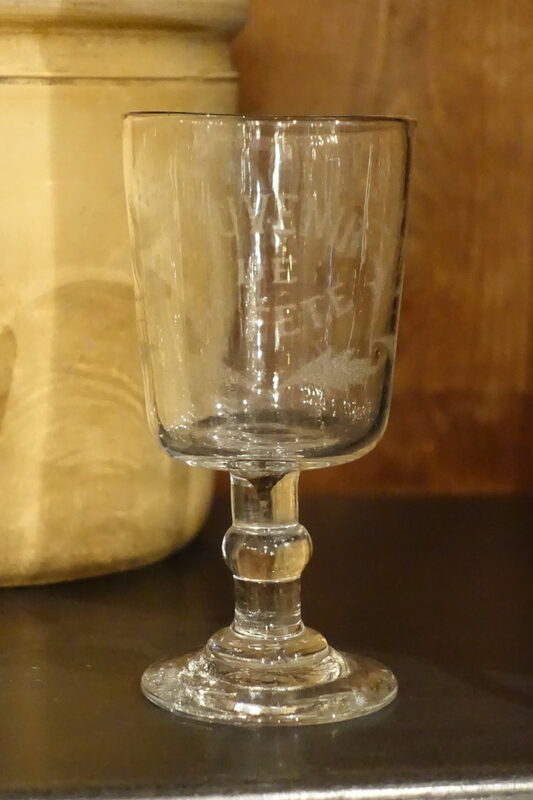 Inscribed with the text “Souvenir de la Fête” meaning a momento of the party, as well as charming ornamental decorations of foliage etched into the glass. 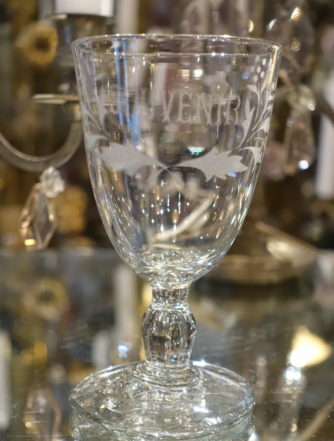 These items, would traditionally be presented at festive occasions such as weddings or exhibitions, as momentos for the guests.